B2B Marketers: Do Customers Have a Tattoo of Your Brand? In a recent Forbes article contributor Larissa Faw wrote about a new retail store that has created more than a lot of buzz. Customers line up for new product releases and even tattoo the brand’s logo on their body. 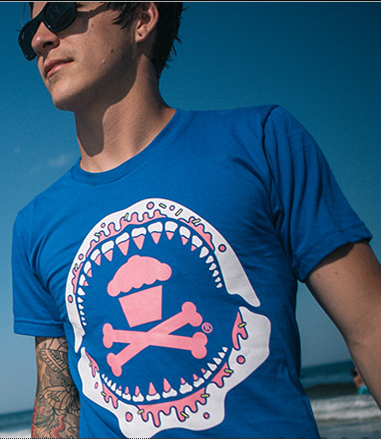 The store is Johnny Cupcakes, and it has nothing to do with cupcakes whatsoever. What can B2B marketers learn from this retailer? According to Larissa Faw, millennials don’t want to buy in a boring environment. They especially (as well as other generations) want to be enchanted when they shop. 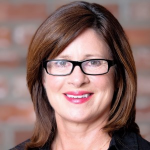 So how can we B2B marketers enchant buyers? We need to tell our story. The more enchanting the better. We need to be human in our selling. We now have a great tool – social media – that provides a platform for this. We need to make buying fun, or at least interesting. We need to engage our customers, not only in the buying cycle but through the entire customer experience as well. So, my B2B colleagues, are you enchanting buyers? If any of you have customers that have tattooed your brand on their bodies, I’d love to know! By the way, Larissa Faw writes about “Millennial workplace trends, corporate renegades, and pop culture.” I assume Faw’s mention of enchantment in the article comes from Guy Kawasaki’s book, Enchantment, which I haven’t read – yet. I’m looking forward to it! Not every brand, especially in the B2B world, is going to be “fun.” But you can at least be interesting, engaging and useful! You want to connect with your customers on some level otherwise, why should they bother choosing you over another company that offers the same service? Hi Joe, I agree – B2B marketers can be interesting by telling success stories, sharing some inside details about our companies, creating videos and asking our customers’ opinions on current events or industry events. Most B2B companies are so conservative with their messaging, that it is just one dimensional sales pitch. It’s time to engage!